Noelani graduated from Loyola Marymount University with a Bachelor in Health and Human Science and received her Doctorate in Physical Therapy from Touro University Nevada. 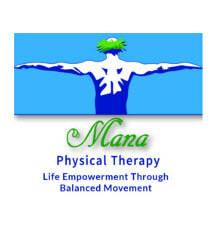 She returned home to Waimea after completing her schooling and began work at Mana Physical Therapy. She is currently working on completing the Mulligan manual therapy courses in order to further her manual therapy knowledge. Outside of the clinic Noelani enjoys staying active by swimming and surfing.